Mindshift is leading its latest research summit to determine what executives need to capture the full value of well-being in the workplace. Mindshift, a consortium led by Rex Miller, has set its sights on helping executives to capture the full value of well-being in the workplace. The group recently met in San Francisco to discuss many of the issues that are facing leadership in corporate America. The group — comprising 40 brilliant people from a variety of different areas of expertise and backgrounds ranging from education to facilities management — met in San Francisco a few weeks ago for its third research summit. Their goal is to help leaders navigate the complex relationships between work, people, teams, organizations, and the physical environment. Leaders are faced with deeply technical considerations that are rapidly evolving, strategic challenges over competing priorities and limited resources and long-term culture change toward the values of a well workplace. A second goal is helping leaders to understand the link between the physical, mental, emotional, and social dynamics that drive performance in the workplace. Both of these objectives result in a more holistic and sustainable approach in driving organizational performance. This research takes place at an auspicious time. 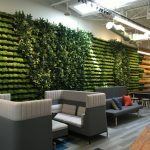 We’re seeing an increasing awareness of well-being in the workplace, and it is a natural outgrowth from sustainability. At the same time, well-being, generally, is nothing new. It’s not just a workplace issue: a lot of good data, captured over several years, has been gathered on the topic. Many groups and organizations exist to research and promote health, wellness, and well-being. Most corporations and businesses have some form of a wellness program, so what’s happening in the workplace now and why has this issue become so important? Can you attract top talent if your workplace makes your employees sick? We are realizing that the way we work today is the root cause of a tremendous amount of sickness, disease, and other health-related issues, that, beyond affecting an employee’s personally, also reduce productivity, create performance issues, and are ultimately a significant cost to businesses today. And sometimes, the workplace is working against these employees. What we are realizing is that our increasing focus on attracting top talent; people and their performance are going beyond wellness, engagement, creativity and general productivity issues have more to do with our entire well-being. Our mental, physical, emotional, and social state is critical to our ability to perform well consistently; and the spaces where we work are influential in our success. What’s more, the C-suite isn’t paying attention: they’re suffering in the same unhealthy conditions as employees. But corporate innovation and profits remain top priorities, and we are just now beginning to understand that people need to be healthy to excel in those areas. Let’s start with costs, which drives most decisions when it comes to the workplace. Leaders seek to drive every dollar to the bottom line. Many times the things that drive real value are often left off the table because of a large initial investment. The tough part is to understand the value proposition of something as intangible as well-being. While the benefits are not precise, we are talking about very big dollars, let alone the moral values and the health benefits. It’s counterintuitive to our traditional way of thinking. You might work a few extra hours to get something done, which could be fine, but an ongoing pattern of that will eventually take its toll. A simple example of this is time off for vacations. Many people are motivated, work hard, put in the extra time to get a job done, and they don’t take a vacation. The pattern continues and they eventually suffer from burn out, disengagement, and develop a bad attitude. Then they leave the company. Taking times off allows a person to relax, reset, and to reduce stress. It clears their head so they can focus on really important stuff more effectively. People come back to work after a vacation refreshed, with a better attitude, and their work shows it. Technology is another consideration. It has made us so much more efficient, but it has a dark side. We have become addicted to our devices — they interact with us and are less emotional than dealing with humans. We don’t need to interact with a human, but humans need interaction. We are realizing that work is tough on our bodies, our minds, and our relationships. Technology, which is supposed to make our lives easier, has enabled us so much that we are constantly available and always “on”, and we can do it without talking to anyone. It’s difficult to escape and this takes a toll on our mental state: we can’t turn it off and we eventually become fried and burn out. That’s a big cost alone to businesses. We are also realizing that our mental health and our attitude is the core of our being. Our organizational culture may conflict with good health practices or even cause poor health. Many businesses and business leaders are unsure of how to connect with their people in a meaningful and healthy way. The big risk is that leadership becomes disengaged and disconnected. What’s important to understand is that when you go from wellness to well-being, there is another dimension that has the potential to significantly improve team and organizational performance. The organization is a collection of people, and their illnesses and mental states are contagious. One toxic person is like a cancer, it spreads and the costs can be significant. Likewise, the opposite is true and the same holds true for positive influences. Wellness is about being fit, in shape, getting exercise, etc. Well-being goes beyond that to include our state of minds, our relationships, our values, and our attitude. It can build valuable social capital and enables the team to excel. There are many more things that connect to this, like our lives outside of work. We are starting to realize that our minds have a significant impact on how we perceive and react to a variety of different conditions. Two people can respond to a situation in entirely different ways. George Carlin captured it succinctly when he asks, “Have you ever noticed that anybody driving slower than you is an idiot, and anyone going faster than you is a maniac?” That reflects an attitude and that attitude influences how we interact with others. Everyone refers to the Gallup poll that shows 70 percent of the workforce is disengaged. Let’s face it: it’s obvious that a happy and healthy person is going to be more engaged and productive than an unhappy and unhealthy person. Today’s challenge is how do we achieve that very elusive goal of happiness in the workplace, especially when the work that we do causes us so much stress. The challenge of this exercise is to understand that better and move organizations a little closer to that goal. The first step is education and getting leadership to understand that people are necessary to achieve all of their goals. People of sound mind, who are fit, have positive relationships, and are comfortable discussing tough issues are integral if you want to drive innovation. Trust and integrity are at the foundation of a healthy relationship, and those characteristics require a healthy culture to nourish them. As better understand all the intricate emotions and social connections organizations will raise their performance. The workplace is where it all comes together.